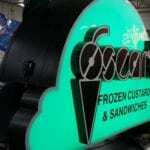 Oscar’s Sandwiches & Frozen Custard holds a special place in the Milwaukee, Wisconsin community, serving great, fresh food in a family-friendly environment. Everyone knows Oscar’s. 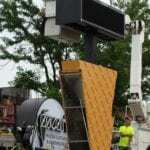 It’s an iconic part of the casual dining scene in West Allis, Brookfield and Franklin. 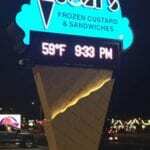 The owners of Oscar’s determined it was time for major upgrades to their brand image. 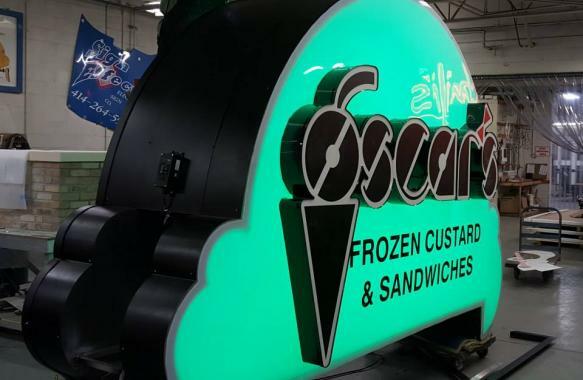 Because they can appreciate how a unique sign design enhances the restaurant’s business and attracts new customers, each location is going to be upgraded with the new, color changing sign. The design, which is meant to resemble the homemade waffle cones served at Oscar’s, is dramatically better looking than current signs. 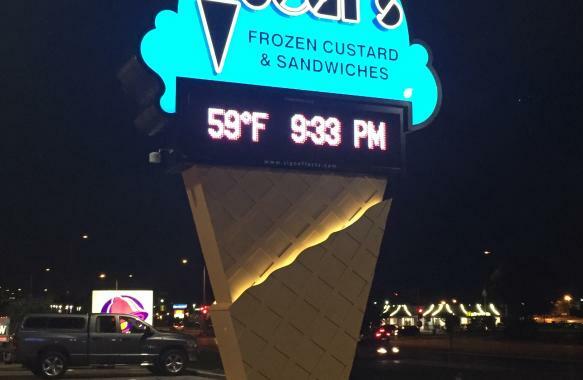 And it makes it easy for folks to learn the custard flavor of the day because the new sign changes color based on what the flavor of the day is. The new signs incorporate the latest in energy efficient technology. The advanced lighting technology will not only improve the look of the immediate area, but it will also help reduce energy consumption by up to 75%. Here’s a quick rundown on the specification. If you’d like to learn more or discuss a unique sign design for your business, give us a call. We used our Accubend Lite equipment to form the cabinet. 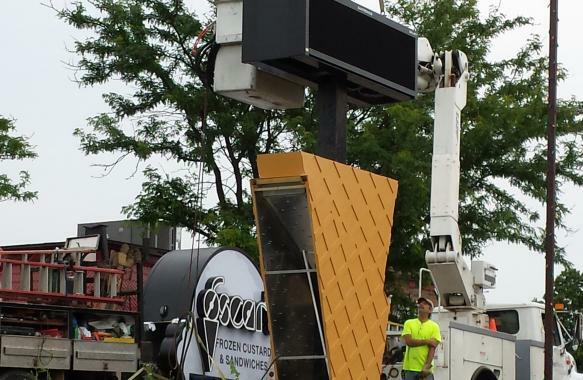 Check out the video showcasing the sign fabrication and sign installation by clicking here.